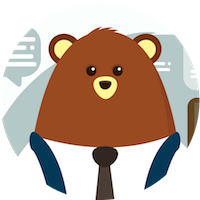 The Develobear - Front-end, React, CSS, Design blog. A blog for all the front-end develobears in the woods. Fortunately, this won’t be another post that just nags about technology being ahead of us or our inability to fully use it’s potential, but there is one thing I just have to complain about – we are lazy enough to just be OK with it. We don’t even try to pursue it.